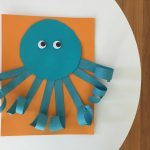 We’ve done posts like this before: a book and a craft! You can do the craft without reading the book of course, but sometimes it makes it more fun for the kids to have a book to go along with what they’re making. 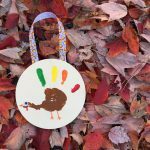 During the long winter months, we also look for activities to take up a little more time when stuck indoors, so pairing a story with a craft does just that. 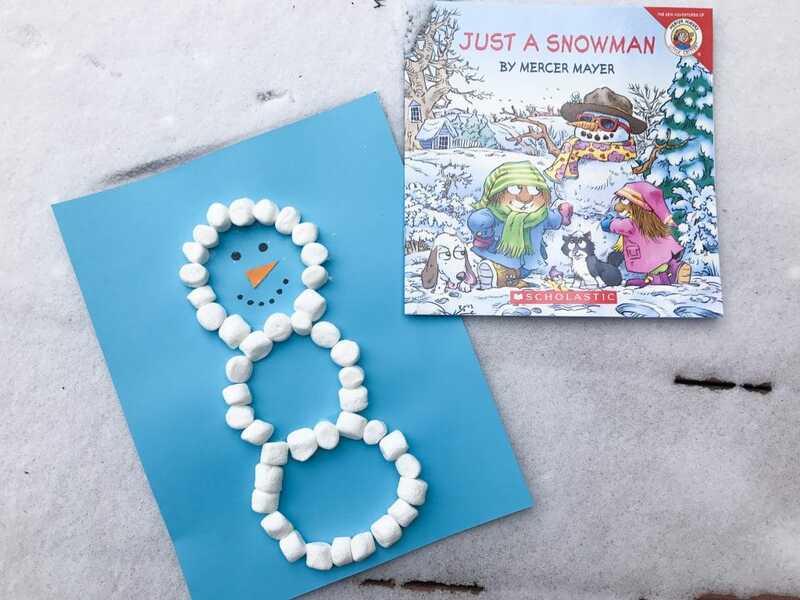 Today we’re sharing an easy marshmallow snowman craft along with one of our favorite snowman books: Just A Snowman By Mercer Mayer. The story is about what happens on a snow day. So it would be fun to have the book on hand and the craft supplies to do on a snow day, but you can read/ do the craft any day of course! Just A Snowman by Mercer Mayer is one of my kids favorite books. There are silly parts that make them all laugh and they like that the kids add things to the snowman like sunglasses. I ordered it on Amazon for about $3 last winter. It’s also one I always see in the kids Scholastic Book orders. 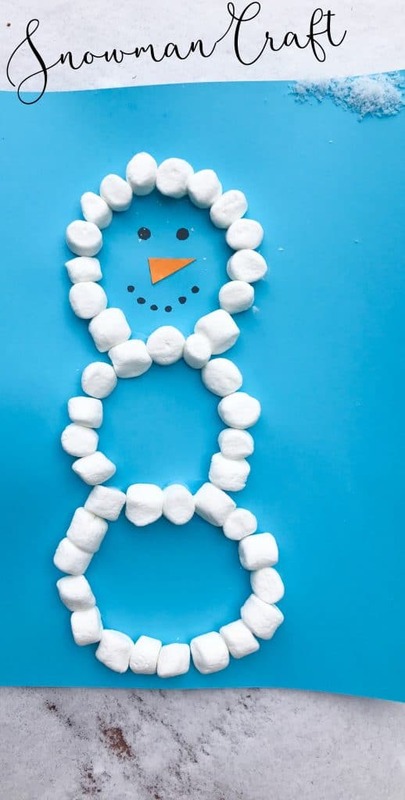 For the craft, we made Easy Marshmallow Snowmen. 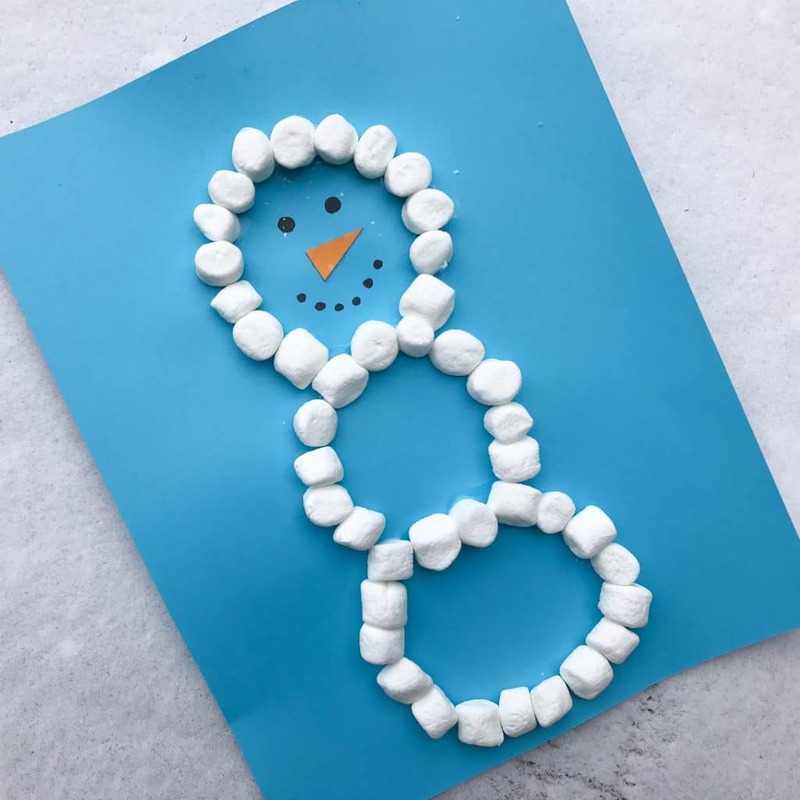 Since the kids used a few “silly things” to make their snowman outside, we talked about how silly it was to build a snowman out of marshmallows. All you do is make 3 circles on paper with glue. Then give the kids a bowl of marshmallows and have them stick the marshmallows on the glue, following the circles you made. Then, once it dries a little, let them make the snowman a face, buttons, arms, etc. 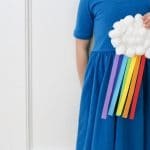 If you have google eyes on hand, they can use those, pom poms, etc. 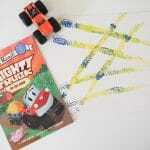 Or it can be done with markers. 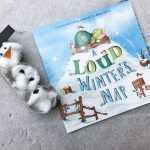 For more snowman crafts and books, check out these posts: Snowman in a Bag Craft, Build A Snowman Book Craft + Snack, DIY Snowman Cake, 10 Winter Crafts for Kids. This is so simple and cute! We have a ton of snow but haven’t played in it with negative wind chills, so this will be the perfect activity.